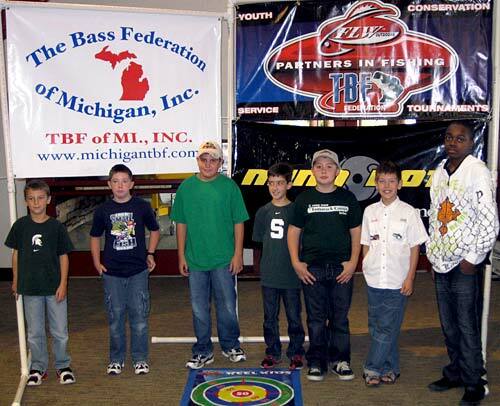 The Bass Federation of Michigan hosted their second annual Reel Kids Casting State Championship at Bass Pro Shops in Auburn Hills, MI. It was a cold and windy day in Auburn Hills but we were warm and toasty inside on the Tracker Boat pad. We had 8 of the 16 qualifiers show up. All 16 had won various events we held in 2009. The 8 that showed up received a sponsor product package. 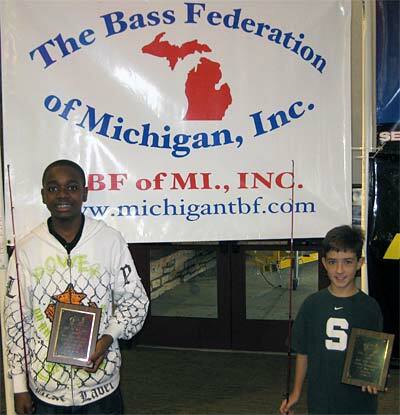 Sam Moore from Detroit won the 12 to 15 year old age group, and Michael Lipinski from Roseville, MI won the 8 to 11 age group.